Emily Falk is an Associate Professor of Communication at the Annenberg School for Communication. Professor Falk employs a variety of methods in the performance of her research, with a focus on functional magnetic resonance imaging (fMRI). She has worked to develop a program of research in what she calls “Communication Neuroscience” to link neural activity (in response to persuasive messages) to behaviors at the individual, group and population levels. In particular, Falk is interested in predicting behavior change following exposure to persuasive messages and in understanding what makes successful ideas spread (e.g. through social networks, through cultures). She is also interested in the development of “neural focus groups” to predict the efficacy of persuasive communication at the population level. 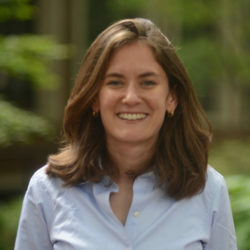 At present, much of her research focuses on health communication, including recent work exploring neural predictors of increased sunscreen use, neural predictors of smoking reduction, and linking neural responses to health messages to population level behavioral outcomes; other areas of interest include political communication, cross-cultural communication, and the spread of culture, social norms and sticky ideas. Falk's work has been funded by grants from NCI, NICHD and the NIH Director's New Innovator Award. Prior to her doctoral work, she was a Fulbright Fellow in health policy, studying health communication in Canada. She received her bachelor’s degree in Neuroscience from Brown University, and her Ph.D. in Psychology from the University of California, Los Angeles.